The Lambton Shores watersheds area is approximately 127 km2 and consists of a variety of watercourses and drains flowing towards Lake Huron, including Duffus Creek, Shashawanda Creek, James Creek and Woods Creek. These watersheds compose the smallest watershed, only 3.1 per cent of the St. Clair Region watershed located within the St. Clair Region Conservation Authority (SCRCA) jurisdiction. 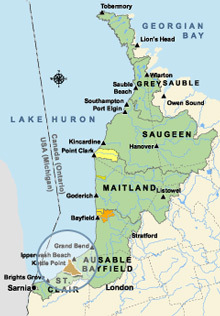 Municipalities within the watershed include, Lambton Shores (100 km2), Warwick (6 km2) and Plympton-Wyoming (2 km2), the watershed is also home to the Chippewas of Kettle and Stony Point First Nation (KSPFN). Land use is over 72 per cent agriculture, 17.4 percent forest cover and 2.9 per cent wetland. Plant species at risk include Bluehearts, Broad Beech Fern, Dense Blazingstar, Shumard Oak, Green Dragon. Bird and Reptiles species at risk include Acadian Flycatcher, Hooded Warbler, Bobolink, Blanding’s Turtle, Eastern Ribbonsnake, Milksnake, and Snapping Turtle. Since 2012, multiple programs and projects have taken place to improve water quality within the watershed. 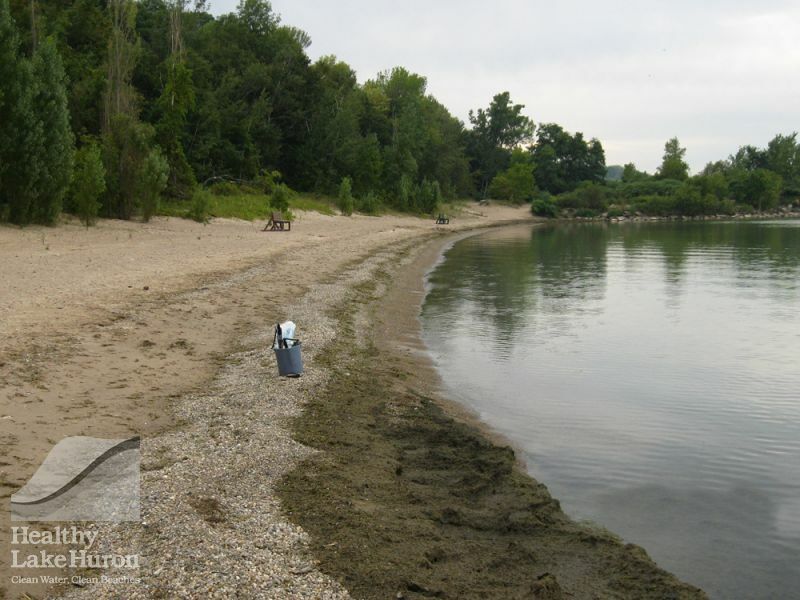 The Great Canadian Shoreline Cleanup at Ipperwash Beach and Walk the Watershed have allowed for landowners to learn about water quality concerns as well as allow them to be a part of projects. By including landowners the SCRCA has been able to educate landowners as well as complete more than 40 stewardship projects. Projects have included sceptic upgrades, tree planting, dunegrass planting, planting cover crops, windbreaks and wetland restorations. More than 40 cost-share stewardship projects. Projects have included septic system upgrades, tree planting, windbreaks, cover crop seeds, dune grassing planting, wetland restoration, river crossings, eavestroughs, and manure storage. SCRCA has worked with CH2M Hill/OMI, the Municipality of Lambton Shores, and Communities in Bloom – Lambton Shores to restore two retired sewage lagoons into wetland/ stopover habitat for migrating waterfowl. Staff have met with the community through the Forest Fall Fair, Lambton Soil & Crop Improvement Association meetings, Grain Farmer’s of Ontario Chapter meetings, Communities in Bloom Trash Bashes, the Forest Home & Garden Show.